Current releases from Abruzzo and Molise are mostly white wines from the very hot, dry, challenging 2017 growing season and fresh reds from the more classic 2016 harvest. Vintage difficulties aside, these regions offer many pleasant surprises, not to mention some stunning bargains. Abruzzo and Molise perfectly demonstrate all that is at once infuriating and sublime about Italian wines. On one hand, these regions offer hand-crafted, distinctive wines at often unbeatable prices, mostly from small family-run estates; on the other, they also produce far too many insipid bottles that risk nullifying—in the public’s mind, at least—the unquestionable progress that has been made in these two areas over the last ten years. Although largely unknown to the huge masses of tourists that flock to Italy every year, Abruzzo and Molise are extremely scenic and in some sections quite unspoiled. The Adriatic is the shallowest of Italy’s four seas, and its southern portion is particularly clean and rich in marine life. 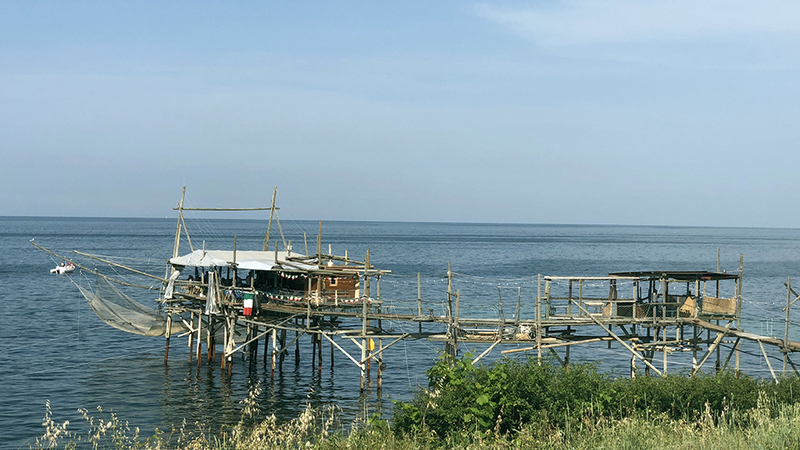 Sights like the fishing stalls (trabocchi) that dot the coastline of the province of Chieti are truly unforgettable, especially at evening’s approach. Both regions offer a wealth of natural and man-made sights that are well worth seeing. Examples of the former include Abruzzo’s beautiful lakes of Scanno, situated in a high mountaintop area that will have you thinking you’re in Canada or Northern Europe, as well as Molise’s Riserva Naturale di Montedimezzo and the Giardino della Flora Appenninica in Capracotta, two beautiful national parks. Monuments and buildings of particular interest include Abruzzo’s 17th-century San Benedetto Abate Church (in Controguerra) and the Church of Santa Maria in Piano (in the town of Loreto Aprutino) with its beautiful 15th-century frescoes, and Molise’s Santa Maria a Mare Church in Campomarino. Readers might like to know that the wine-producing town of Cugnoli in Abruzzo is home to the family of Sergio Marchionne, the uniquely talented man who helped save both Fiat and Chrysler and who recently passed away. And both regions boast uniquely flavorful cuisines rich in both mountain and marine elements, the dishes of which are quite different from those you’ll taste in Tuscany, Puglia or Liguria, for example. In Abruzzo, don’t miss out on the famous saffron from Navelli, the ventricina (a salami), and the red garlic of Sulmona. Also check out the lamb-based dishes and many versions of brodetto, a fish stew for which every coastal town has its own recipe. And when in Molise, make sure you try such delicacies as the local fresh goat cheese, the cavatelli pasta, and the scamorza appassita, one of Italy’s best cheeses. Not unexpectedly, Montepulciano is the most planted grape variety in Abruzzo. Just to be clear, Montepulciano is a grape variety used to make the DOC wine called Montepulciano d’Abruzzo and the DOCG Montepulciano d’Abruzzo Colline Teramane. Vino Nobile di Montepulciano and Rosso di Montepulciano, on the other hand, are Tuscan wines made mainly with Sangiovese, in which the “Montepulciano” refers to the Tuscan town with which those wines are historically associated. 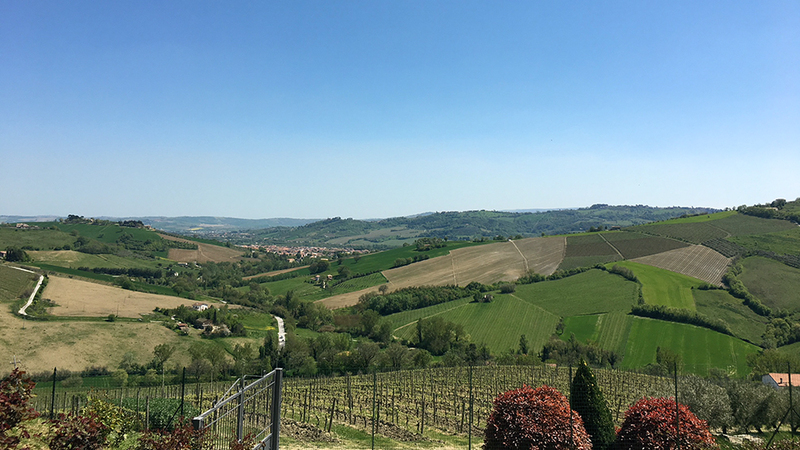 The latest available data (2010) from ISTAT, the Italian National Institute of Statistics, tells us that Montepulciano accounts for 55.4% of all vineyard acreage in the region. By comparison, Pecorino, an extremely popular white variety that is used to make what is probably Italy’s hottest white wine right now, represents only 1.9% of the region’s surface under vine, although that figure will undoubtedly be higher when the next vineyard census is completed. The two most commonly planted wine grapes after Montepulciano in Abruzzo are Trebbiano Toscano and Trebbiano Abruzzese. 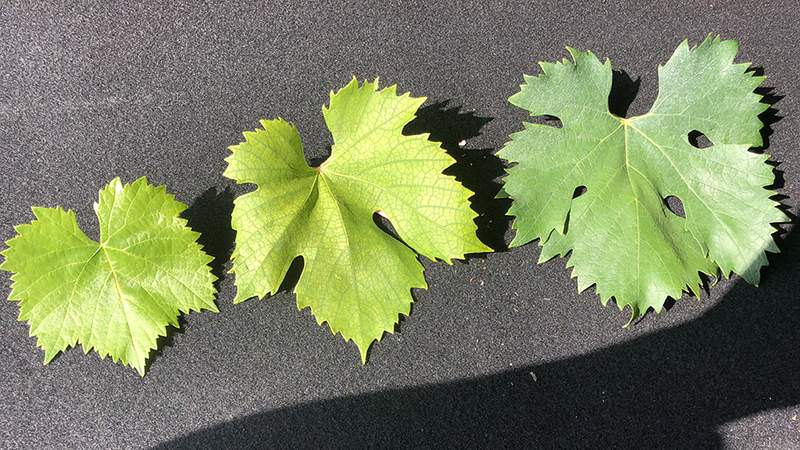 These two varieties, unrelated to each other and wildly different in their capacity to make quality wine, account for roughly 18% and 9% of the Abruzzo surface planted to wine grapes (this data confirms that much Trebbiano d’Abruzzo wine is made with high percentages of Trebbiano Toscano). 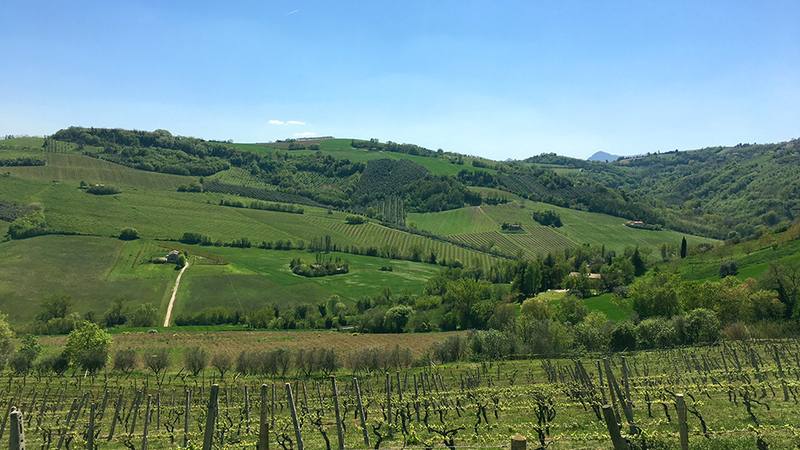 Interestingly, there are 222 hectares of Cococciola (0.7% of total acreage) planted in Abruzzo, a variety more typically associated with Molise, and only 55 hectares of Passerina, a white grape from which some easygoing, food-friendly wines are being made in the region. What is interesting about those numbers is that many Abruzzo estates make a Passerina wine, but only a few a Cococciola wine. Go figure. In Molise, the local white variety is Cococciola, while the native red grape is the mildly aromatic Tintilia. It is especially the latter, at least at our present state of knowledge (nobody has yet studied Cococciola much), that appears capable of giving world-class wines. Unfortunately, Molise has planted varieties more famously associated with other regions, such as the Falanghina varieties, Fiano and Greco. As all of these varieties unfailingly make better wines in Campania than they do in Molise, it makes it hard for the region to escape second-tier wine status. Abruzzo and Molise are two of Italy’s most important wine-producing regions in terms of both quantity and quality. (Molise is actually a very small region with a different set of local grape varieties from Abruzzo, but the two regions are often lumped together in discussions because of their proximity.) Abruzzo produces especially huge volumes of wine: its annual production averages 2.7 million hectoliters, although the region’s wine output is still dominated by table wine and must. According to the 2010 data, over 60% of Abruzzo wine is red, but the region makes remarkably good white wines and arguably the country’s best Rosati (in Abruzzo, both lighter-colored Rosés and darker-colored Cerasuolo d’Abruzzo wines are made). Molise’s average annual wine output hovers around 250,000 hectoliters, with roughly 52% of the region’s wine at DOC quality level. According to my calculations based on ISTAT data, roughly 63% of Molise’s wine production is red and 37% is white; those numbers indicate that Molise’s production of Rosati wines is negligible. The surface planted to vineyards in Molise amounts to 5,500 hectares (compared to 32,189 in Abruzzo), more than 90% of which is located in the Campobasso province and the remainder in the province of Isernia. Quality-wise, five of Italy’s best wine estates are located in Abruzzo (in alphabetical order, Cataldi Madonna, Emidio Pepe, Tiberio, Valle Reale and Valentini), along with numerous above-average producers and emerging stars (Barba, Camillo Montori, De Fermo, Fattoria Nicodemi, Filomusi Guelfi, Illuminati, La Valentina and Praesidium, among others), and so the region does have a great deal of high-quality wine to offer. In Molise, estates such as Cianfagna, Cipressi and Vinica are making very interesting wines from little-known local varieties such as Tintilia (a red variety), high-altitude Sauvignon Blanc and even Pinot Noir. Unfortunately, many of these Abruzzo and Molise estates, while making very good wines at often ridiculously low prices, are less dependable sources for high quality than the more polished estates in Piedmont and Tuscany. They’re also more haphazard in their approach to marketing. I cannot help but think that this is a lost opportunity for the wineries and for consumers alike; it’s a shame that those delightful wines enjoy less visibility than they deserve. However, the biggest problem for Abruzzo, one that really tarnishes its reputation for quality wine, is that its best-known wine, Montepulciano d’Abruzzo, is allowed to be bottled outside of the region. An associated problem is that far too much wine proudly showing off the “Montepulciano d’Abruzzo” label sells at prices far too low to be economically viable for producers; clearly, regional denomination committees ought to be more stringent in the way they conduct their jobs. There is just too much very cheap, poor-quality Montepulciano d’Abruzzo wine sold not just in Italy but all over the world, and this has two very damaging consequences: first, the small family-run domains of the region have trouble surviving, and second, the public at large will forever be turned off by such wines, as few people are interested in practically undrinkable wines that reek of overripe grapes and exaggerated smoky flavors. There’s no sense beating around the bush: despite all the verbal contortions performed by politicians and producers alike, the 2017 vintage was Italy’s worst of the last 20 years. Much too hot and dry, it was especially hard on young vines and early-ripening varieties, and this is true all over the country. The year began ominously with a frost episode that, although not as violent as the one in late April of 2016, still struck the Abruzzo’s and Molise’s vineyards in hit-and-miss fashion. The one positive effect of the frost is that it acted as a natural yield reducer. The spring, summer and fall of ’17 were marked by unseasonably high temperatures and drought: believe it or not, in parts of Abruzzo there was literally no rain from early spring to the beginning of the harvest. Even worse, numerous forest fires during the summer only exacerbated the effect of high temperatures in the vineyards. Owing to the season’s reduced yields, drought and high temperatures, the harvest took place as much as three weeks earlier than usual in many areas. Overall, the Abruzzo variety that fared best in 2017 was the late-ripening Montepulciano, which also benefited from a few late-season showers. The cultivar that was hardest hit was Pecorino, an early-ripening variety that tends to build up sugars quickly, and therefore many 2017 Pecorino wines are high in alcohol and rather neutral. Because of the difficulties posed by the 2017 vintage, my scores are generally lower for Abruzzo and Molise wines than they have been in other recent years. The wines in this report were tasted in July of 2018 in my offices in Rome and Barolo. A few highly-respected estates are missing from this report, most notable Camillo Montori and Praesidium in Abruzzo. I will endeavor to taste those wines as soon as is practical.